When you need top-quality AC repair at prices that won’t break the bank, turn to none other than Caldeco Air Conditioning & Heating. 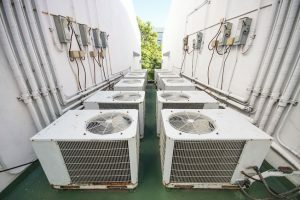 We have been serving the air conditioning system needs of Central Florida home and business owners for nearly 30 years, and our family-owned business remains committed to providing the highest levels of customer service to this day. Renowned throughout the region as the Hometown Expert, Caldeco Air Conditioning & Heating is often preferred over other AC companies for our affordable rates and superior workmanship. Our customers know that when they call on us for an AC repair, our technicians will show up on time and ready to work. Our service vehicles are always stocked with the top-quality tools, parts and equipment needed to handle most AC repairs, and our team will work quickly and efficiently to get your system back up and running as soon as possible. At Caldeco Air Conditioning & Heating, we stand out from other AC companies because of our dedication to making life easy for our customers. That’s why we offer regularly scheduled maintenance programs that take the guesswork out of maintaining your system. We also gladly offer numerous rebates and coupons throughout the year to help our customers save money on their AC maintenance and repair costs and even offer financing options for qualifying customers. If you are looking for AC companies that serve Tampa, New Tampa, Clearwater, Temple Terrace, Pebble Creek or the neighboring areas, contact Caldeco Air Conditioning & Heating today to schedule an AC repair or maintenance service call or request a new AC system quote. We are the Hometown Expert, and we look forward to serving you!